In cooperation with BGAV Partners, both domestically and internationally, Mission Development Staff are able to provide meaningful avenues for college students and young adults to engage in mission opportunities, specifically during the summer months. Included below is a list of possible placements for you to consider, recognizing that these options are not exhaustive. Each of these placements is of high priority and are intended for a service period of six to eight weeks. Knowing how greatly our partners will benefit from the assistance of college students, Mission Development Staff are prepared to contribute partial funding towards the total approximate cost of each placement. Applications received by March 1, 2017 will be reviewed and matched to a placement immediately through an interview process. Applications received after this deadline will be matched to placements that remain unfilled. All summer Venturers will attend an orientation in May and a debrief event in August alongside other students who have served during the summer through other Baptist partners. The BGAV Summer Venturer Program covers cost of flights and insurance for international placements. The costs listed below include estimates of in-country costs other than entertainment. Students can raise funds individually or through the BGAV. The BGAV can create a page for each Summer Venturer that hosts their blog posts and an opportunity for people to contribute financially to the cost of their experience. 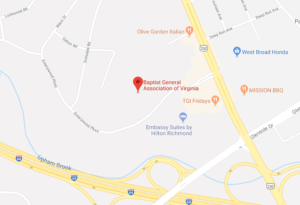 Through the European Baptist Federation, Virginia Baptists are sponsoring a church planter among Afghani and Iranian refugees living in and around Vienna, Austria. This young church planter, Cesar Sotomayor, from Mexico, and his wife, Simone, from Germany, are responding to God’s call to minister among these specific refugee communities. Simultaneously, they have recently begun a new church among the Latino population of Vienna. Their ministries are directly connected to the Austria Baptist Union. A variety of ministry projects would be available for student mission involvement, including sports, building relationships, visiting and ministering in refugee housing facilities, Bible studies, etc. Student volunteers will most likely be housed in the Austrian Baptist student dormitory near the University in Vienna. With the influx of Syrian refugees fleeing from their country as a result of the present civil war crisis, Lebanese Baptists and other evangelical faith communities are uniting in their efforts to minister to the needs of these disparate men, women and children. There are numerous projects being set up throughout Lebanon to respond to this crisis which involve food preparation and feeding large numbers of individuals, spending time with and showing Christian love and concern to those in the tent cities, being a listening ear when you can’t even understand language being spoken, offering smiles and hugs, playing with children and youth through simple games and sports activities. More Than Nets is a strategic partnership with the Ghana Baptist Convention to target malaria in Yendi, a small municipality in northern Ghana. The goal is to provide 100,000 chemically treated mosquito nets to protect the entire population of this region. In addition to the nets, we are working to plant a church in each of the 435 villages that are within this region. Summer missionaries will work alongside one of the missionaries of the Ghana Convention, Emmanuel Mustapha – “Muss”, and other volunteers to distribute nets, plant churches, manage volunteer groups and provide other general ministry functions. Additional information can be found on these web-sites: www.facebook.com/morethannets and www.bgav.org/morethannets. Volunteers will lead summer clubs for approximately 60 Roma/ impoverished students, ages 5-12 years, on a weekly basis at the Ruth School. Summer interns at Project Ruth will plan, acquire materials and implement clubs. Students will also organize and run clubs and Vacation Bible School activities in various Roma villages and churches on a semi-regular basis. Responsibilities may include various tasks at the Ruth School such as cleaning classrooms, repair work, painting, light administrative tasks and hospitality for visiting mission teams. Volunteers may be asked to take part in other events organized as part of the Virginia Baptist partnership with Romanian Baptists – especially hosting and supporting teams serving in Bucharest during the summer. Please visit http://www.ProjectRuth.ro for more information on this organization that seeks to minister to the Roma of Bucharest through education and women’s programs. Volunteers will spend most of their days in rural communities working alongside Abba’s Pride missionaries to see how God is using this ministry to connect with churches in under-resourced areas to support their communities. Volunteers will establish relationships and then build and execute their own mission project based on gifts and needs of the community. Interns will do two weeks of cultural immersion with host churches during their six weeks in South Africa. Built following the devastating earthquake in 2010, the Source of Light Center is truly just that to the community of Delmas 19 – a source of light. Serving as an orphanage, primary school, community center and adult development center, the ministry of the Source of Light Center is far reaching across Port-au-Prince, the capital of Haiti. Primary responsibilities for collegiate summer missionaries may include living among and loving the orphaned children living at Source of Light, assisting with volunteer teams traveling from the US, helping with development projects to aid the community, and leading within the local congregation. For more information on the Source of Light Center, visit this web-site: http://www.sourceoflighthaiti.org. A placement with the Southwest Virginia Partnership will involve working closely with Tony and Jan Johnson, project Coordinators, and the volunteer mission teams. Students will assist with leading the volunteer projects and any necessary preparations for teams, such as logistical arrangement and purchasing necessary materials for each project. Visit the “Southwest Virginia Partnership” Facebook page to learn more about this ministry. Disaster Response Summer Team will experience many facets of the DR experience, including training and response to disasters, participation in exercises, and learning experiences around the disaster response process from preparation to relief to rebuild to long-term development. The team will begin their summer with a robust training experience, so they understand their role within the emergency management framework and the opportunities they will have to serve others in Jesus’ name. The team will remain on-call to respond to a disaster in Virginia or another nearby state. Download the catalog for a full description of this team. The Impact Team will be responsible for all aspects of the Impact Mission camp experience. They will plan and lead worship, support and engage students, and handle administrative tasks during the weeks before and during camp. They will also serve alongside international students from BGAV partners who are serving as volunteers on Impact staff each summer. To learn more about Impact Mission Camps, visit http://www.impactmissioncamps.org. If you’re interested in an even longer time of service, consider being part of our Venturers program. Venturers are individuals at least eighteen years of age who serve in hands-on mission roles for a period of six months to two years. The Venturer program provides opportunities for longer-term mission service in local and global settings. We work to get to know the individuals applying to be part of the program and help connect their gifts and calling with a partner who has specific needs. We have a few outstanding requests for Venturers and a wealth of relationships with partners who have a variety of needs that we are ready to help meet with the person who has the required skills and sense of call. Contact Glenn Maddox for more information.